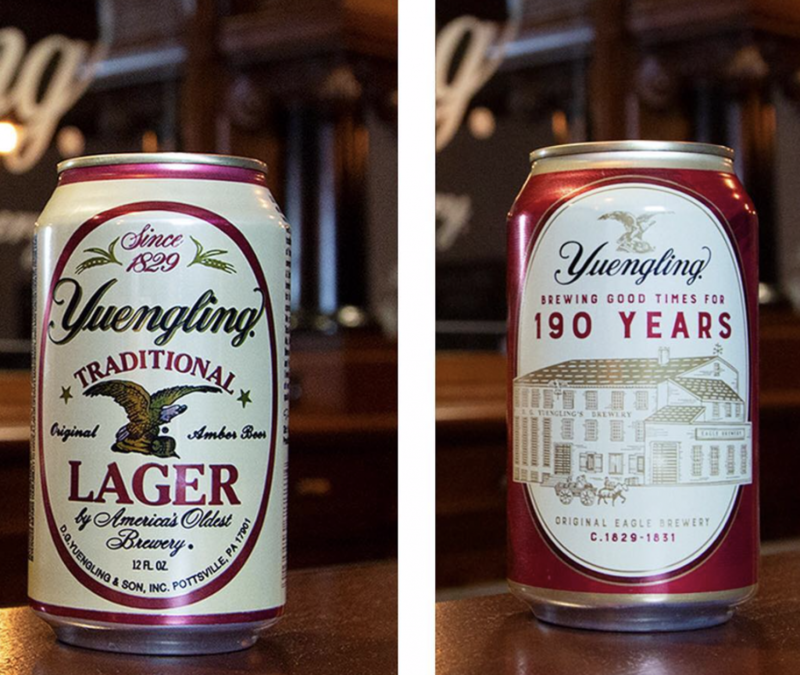 Since it was founded in 1829, America’s Oldest Brewery has remained fiercely independent, family-owned and continuously operated by the Yuengling family for six generations. Yuengling can now be enjoyed in 22 states with core beer brands: Yuengling® Traditional Lager, Light Lager, Black & Tan, and Golden Pilsner – the first new core product in 17 years and introduced in 2018 by the 6thgeneration – Jen, Wendy, Debbie and Sheryl Yuengling. D. G. Yuengling & Son (/ˈjɪŋlɪŋ/ ( listen) YING-ling) is the oldest operating brewing company in the United States, established in 1829. It is one of the largest breweries by volume in the country. Based on volume sold in 2016, Yuengling was the top craft beer company in the U.S. Based on sales in 2011, Yuengling was tied with the Boston Beer Company, maker of Samuel Adams brands, as the largest American-owned brewery. Its headquarters are in Pottsville, Pennsylvania. 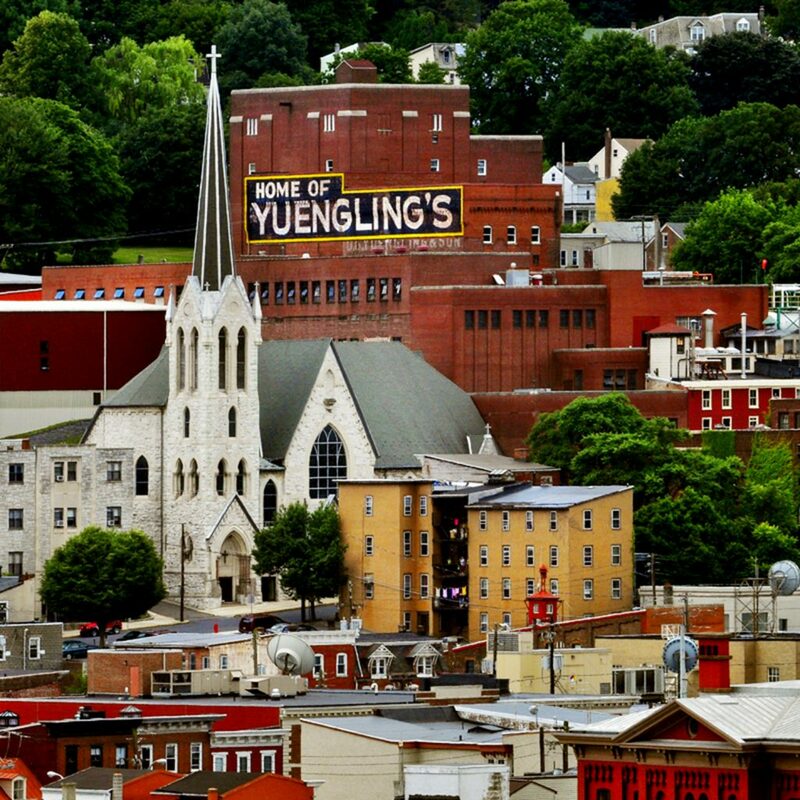 Yuengling produces about 2.8 million barrels annually, operating two Pennsylvania facilities and a brewery in Tampa, Florida. Yuengling is an Anglicized version of Jüngling, its founder’s surname and the German term for “youngling” or “young person” or simply, “youngster”. The family-owned brewery has traditionally changed ownership through the purchase of the company by the offspring of the previous owner. Due to the popularity of Yuengling Traditional Lager in Pennsylvania and the Delaware Valley (including South Jersey), in some bars it can be ordered by simply asking for a lager.